An adventure isn’t contingent on success or failure. It’s about discovery, perspective, and putting yourself out there. 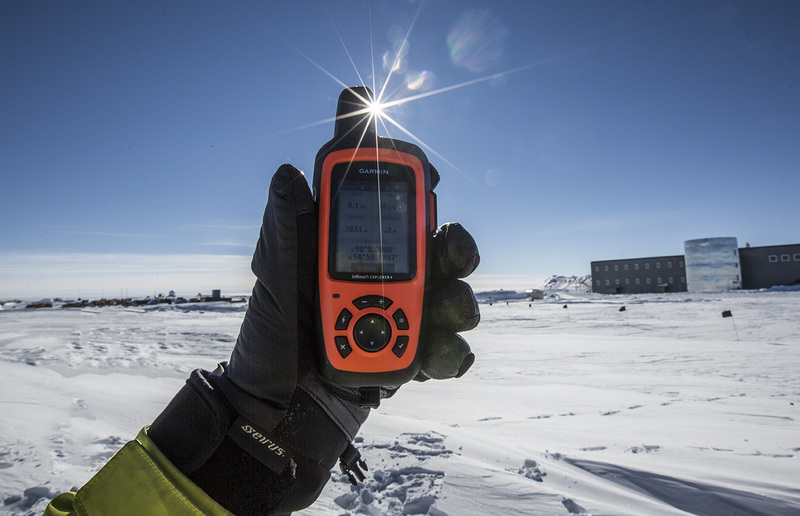 Therm-a-Rest athlete Eric Larsen recently returned from an adventure that, some would say, is one of the most difficult known to man: a solo unsupported ski trip to the South Pole. We had a chance to ask Eric a few questions about the trip itself, his experiences during the trip, and what he has planned next. 1. What exactly did you undertake? What is an FKT? How far did you travel? 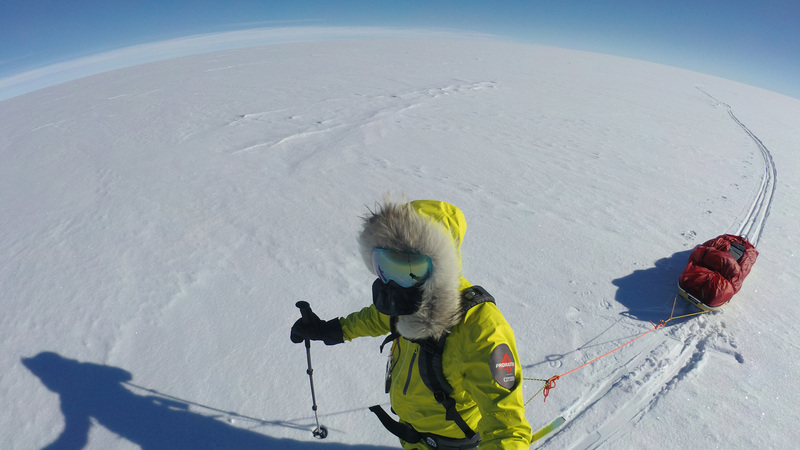 This past November I embarked on a solo unsupported and unaided expedition to the South Pole via the Hercules Inlet route, a 700-mile journey from the edge of the Antarctic continent to the South Pole. My goal was to break the current ‘speed’ record of 24 days set by a Norwegian polar adventurer in 2011. An FKT is an abbreviation for ‘Fastest Known Time’. I believe the term’s origins started with ultra marathoners and thru-hikers as a designation of speed for a particular route, trail or climb. 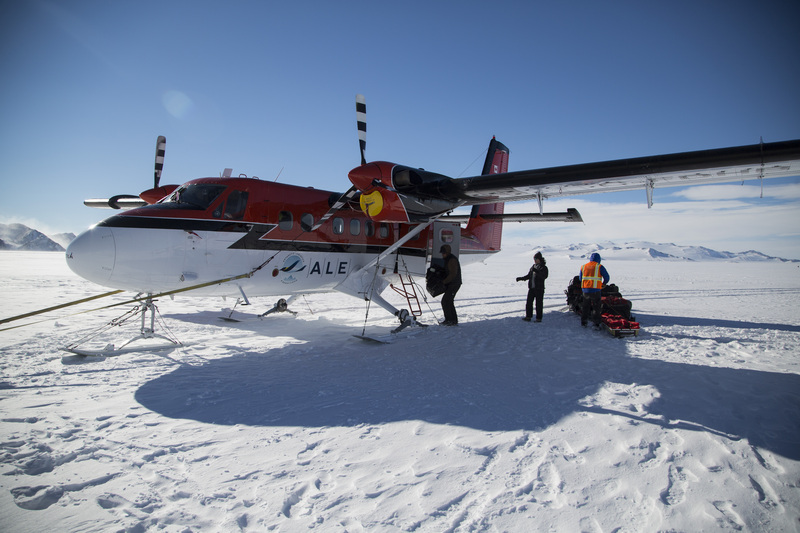 It’s not often used in polar travel but it is becoming part of more popular vernacular. I skied from the 80th parallel to the nearly the 86th parallel in roughly 21 days, a distance of 340 miles. After aborting my attempt, I turned around and skied another 70 miles back in the direction from which I came back to the 85th parallel and a remote ski way where I was picked up by a twin otter (plane). 2. Why attempt an FKT? If you look at the world of modern-day adventures, part of pushing what I call the ‘leading edge of adventure’ is doing traditional adventures in more unique or difficult styles – similar to Tommy Caldwell on the Dawn Wall. The Dawn Wall had been previously climbed, Caldwell and Jorgeson just did it a more difficult style. On a personal level, I’ve been thinking about this trip for several years. 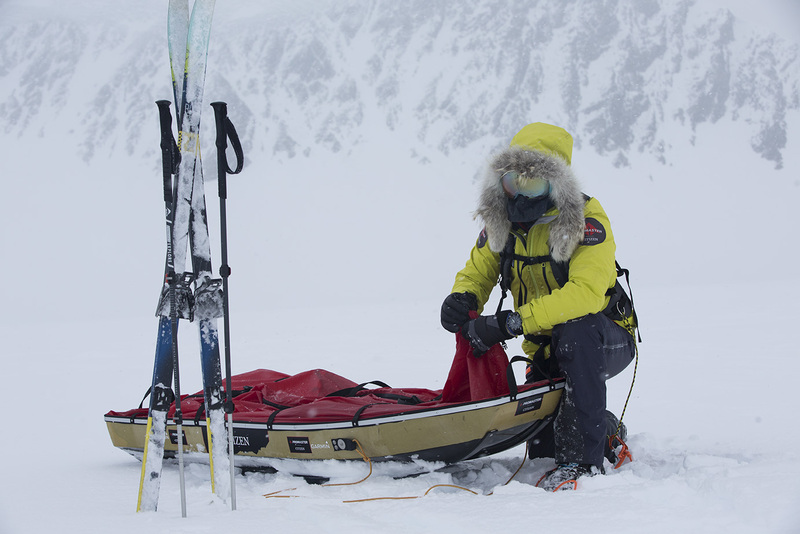 For me, it’s about pushing my personal limits in my sport (polar travel) as well as telling unique stories of adventures. For this project, I am working on a film not only about my adventure but also the effect that being gone has on my family. 3. What did you learn from the trip both personally and as an athlete? On most of my expeditions, I’m pretty much the same person before I left as after I return. That said, this was an interesting trip for me after spending nearly a month completely alone, much of the time in complete whiteouts. This trip was hard both physically and mentally. Quite honestly, I really missed having time to be able to do more photography and writing. Also for the first time, I felt like a hostage to the weather (which I’ve always simply ignored). I also (re)learned about my ‘process’ on big trips like this… it’s hard but if I stick with it, I can work through all the pain and suffering. That said, being away from my family was hard on me. I think it was because of both being alone and the severity of whiteouts. There were no other distractions besides my mind. 4. How did you balance speed and safety during an objective like this? In Antarctica, on this particular route, there isn’t a huge amount of objective danger. There are a few (avoidable) crevasse areas, cold and wind too but it’s not crazy. Speed in this type of travel is a relative term as well. I was skiing at between 1.6 and 2.2 miles per hour. So my focus is simply on efficiency and my systems. Equally important is nutrition and sleep. All these facets are interrelated and contribute to both ‘speed’ and safety. 5. What did your camp life look life? How important were rest and sleep? Camp life is pretty simple. Set up the tent. Put all my gear inside. Start melting snow. Eat. Sleep. In an adventure like this efficiency is critical. Therefore, setting up camp, getting situated and eating and drinking as quickly as possible is paramount. From stopping skiing to going to sleep, took roughly 2 hours. In the morning, another two hours to prep for the day. I skied from 6 or 7 am to 9:15 or 9:30 most days. My original plan was to get 6-7 hours of sleep for the first half of the expedition, the cut back my sleep to 4 hours a night for the second half of the trip. However, from the start, I was already behind schedule so I started to cut my sleep within the first few days. While I can (and have on previous expeditions) function on 4 hours of sleep for more than 10 days, it’s not easy. Still, my single person tent, Polar Ranger and two Ridge Rests made for some of the most comfortable night’s sleep I’ve ever had. Most nights, I would nearly fall asleep while eating my dinner I was so tired. 6. What would you do differently if you were to try it again? Quite honestly, is wasn’t anything in my equipment or systems that failed. I knew what I was getting into and I am very comfortable in that environment. The simple thing that tripped me up (so to speak) was the warmer than average temperatures and the resulting snows. Had I been doing a bigger crossing or guiding an expedition, it wouldn’t have been an issue. But the soft snow made for a slower rate of travel. While this really isn’t an option due to sponsorship and logistics, I think the best option for this type of trip is to ‘tentatively’ schedule the adventure then wait to see how the weather shakes out for that particular year. If the weather is less than ideal, delay until the next year. Of course, and as I previously mentioned, it would be very, very difficult to try to get sponsorship and support for a trip that ‘might’ happen only if the weather is good. Still, that’s the only thing I would change. Every year I teach a polar training course in Canada. I’m also working on a winter survival course in Crested Butte in March and I’ll be headed to guide a Last Degree North Pole expedition in March. I’m also working on more of my ‘StateATHON’ adventures as well as an expedition in the fall to Shishapagma or another peak in China. I’ve also got my usual mix of photography and video work as well. Most importantly, however, I’m pretty focused on spending quality time with my wife, Maria and our two kids after spending five months on expeditions in 2018. 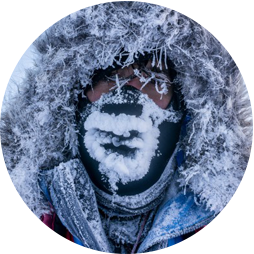 Polar adventurer, expedition guide and dog musher Eric Larsen has completed more polar expeditions than any other American in history.